The most frequent question asked by potential clients is why SDS should be used instead of Water Jet. We always give the same answer to this question: it depends on the purpose of using the boat. In certain areas, SDS has considerable performance advantage, but there are also areas where this advantage belongs to Water Jet. For vessels operating mainly in speed ranges above 30 kn, it is undoubtedly SDS that makes a tangible difference as far as performance is concerned. 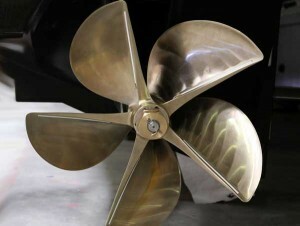 For vessels operating at the range 15 – 30kn, water jet is a better alternative due to effectiveness. The table below shows comparative values of operating features for both systems: the red colour indicates undesirable features, and the green colour desirable ones.